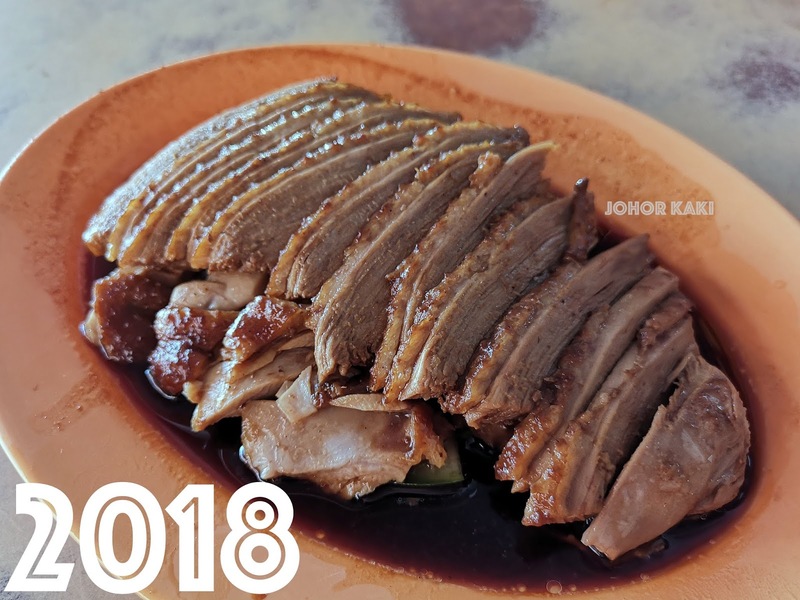 Sin Hai Cheng is one of the top of my mind old school Teochew braised duck places in Johor. 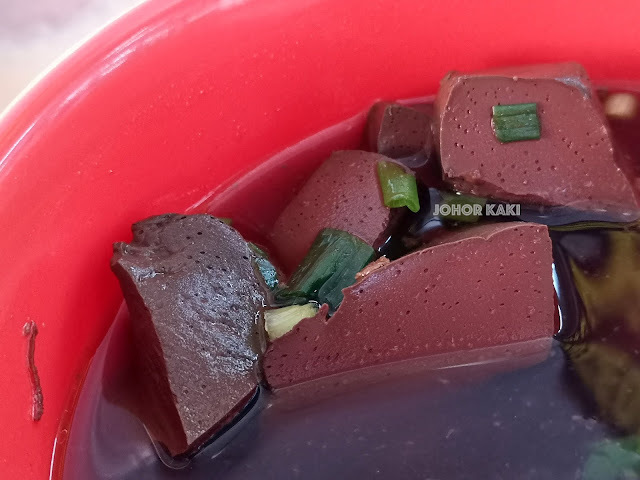 Their braised duck is nice and another attraction here is duck blood curd (which is rarely found even in Johor). Sin Hai Cheng hasn't changed much if at all since I first ate here way back in 2012. 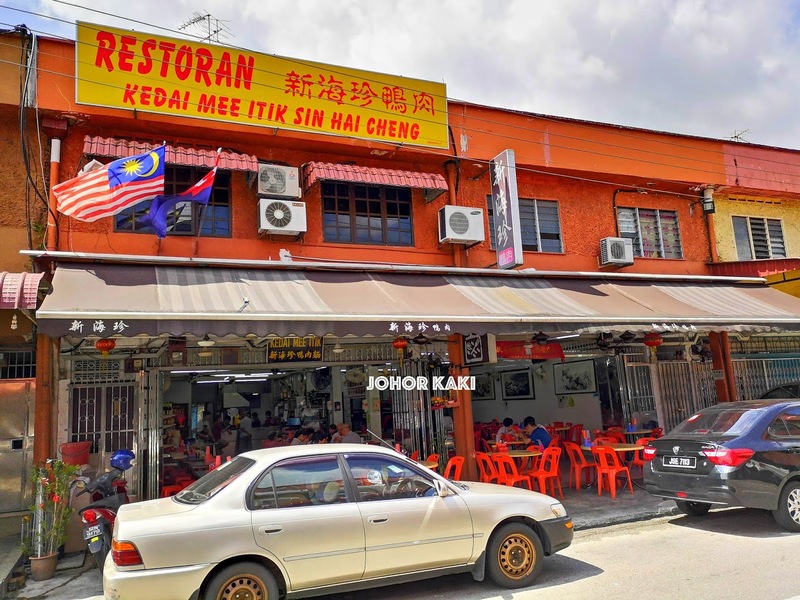 Founded in 1983, Sin Hai Cheng has loyal local following. It's a large two shop lot unit in a relatively quiet part of Skudai, Johor Bahru. Sin Hai Cheng is busy with mostly local customers throughout the day. Business is brisk, service is quick at Sin Hai Cheng. 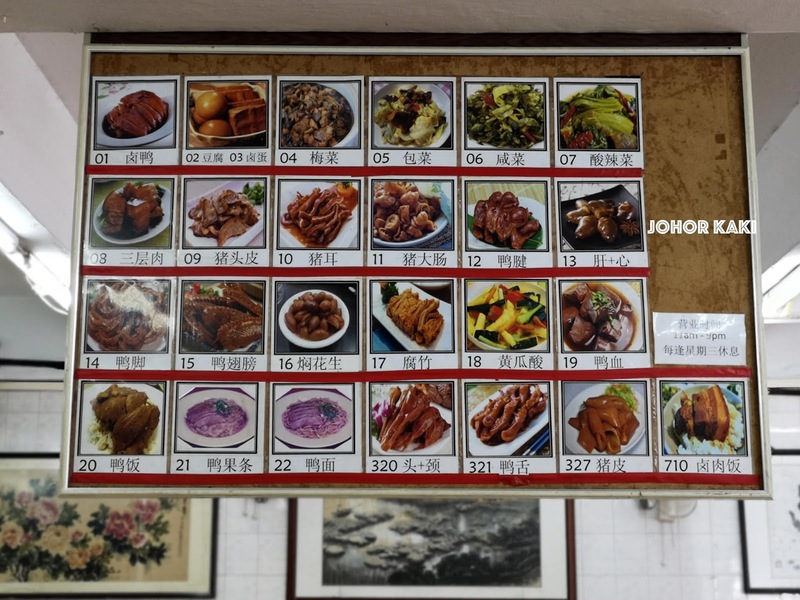 The menu hangs overhead - there's braised duck, braised pork, braised tofu, pickled vegetables, duck blood curd etc. 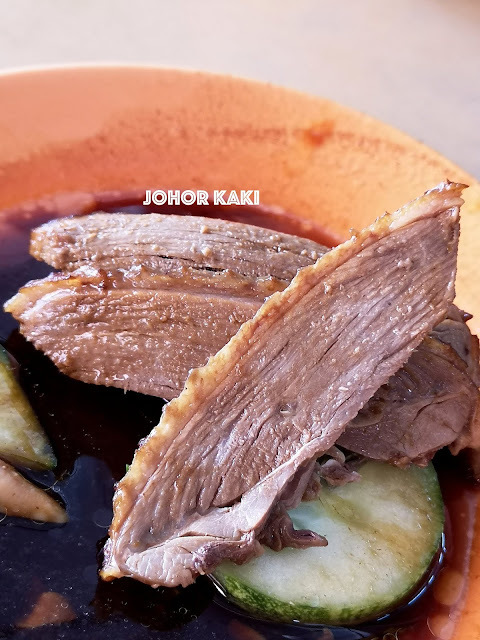 The fresh two month old local ducks are braised with over ten types of herbs and spices. 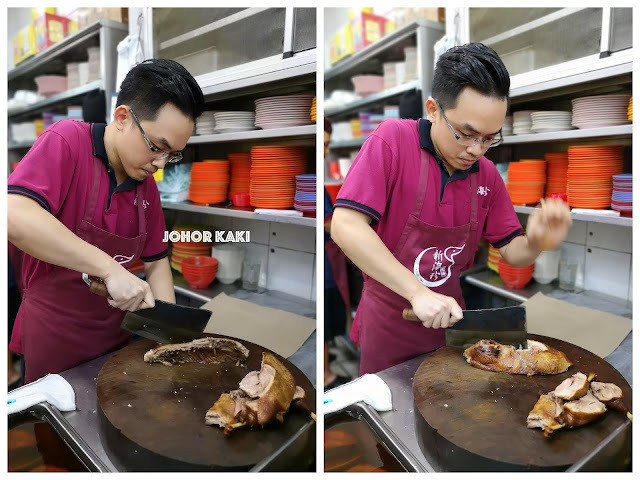 Lao San 老三 (founder Tan Eng Hock's youngest son, Alex) whom I first met in 2012 was still out in front chopping and slicing braised ducks and pork. At Sin Hai Cheng, the duck is served boneless. We had braised duck, duck blood curd and preserved vegetables (mustard). My favourite cut of braised duck is the breast. Lao San has excellent knife skills. The duck breast was sliced cleanly into equal thickness slices. The braised duck was tender with a chewy bite. The lean meat had subtle natural sweetness but more savoury herbal from the braising stock. The narrow strip of soft fatty skin had more ducky taste. Their braised duck wings are very popular too. I shall try them next time. Sin Hai Cheng is probably the only place in JB to get duck blood curd. But even here, it is best to call 📞 +607-557 7279 to check availability before coming over for it. Very nice house made preserved vegetable (mustard) with savoury tangy flavours and underlying spiciness from dried chili peppers. Must order. Recommended for you 👍 Old school Teochew braised duck shop that also serves duck blood curd. 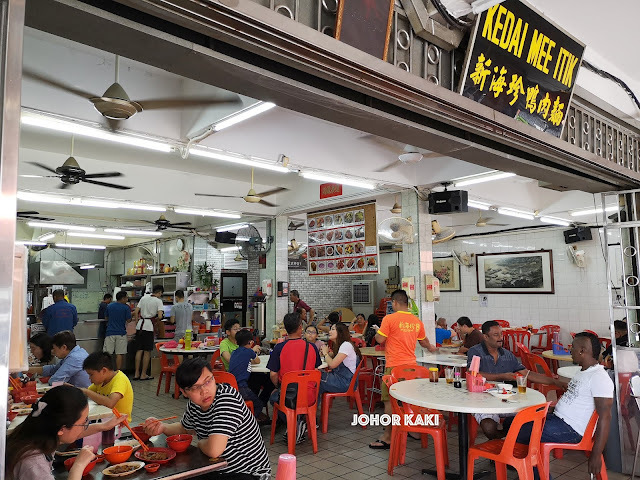 Back at Sin Hai Cheng duck mee 新海珍鸭肉面 in Sri Skudai today to taste their famous braised duck which is popular with JB folks. Not much have changed at this spacious family and local oriented shop. Sin Hai Cheng has the same homely, down-to-earth feel about it, which I like. Lao San 老三, the second generation owner of the 33 year old shop (founded in 1983), is busy at the chopping board (as usual). I remember Lao San for his marvellous knife skills 刀工 from my previous visit (four years ago). We ordered a plate each of duck breast meat and innards. The total bill with drinks came to RM18. Lao San sliced the duck breast consistently thin with a tiny strip of fatty skin on top, which I liked. The duck meat felt a little stiff and having it sliced thin made it more tender to the bite. The braising sauce is mild, tasting slightly savoury with subtle traces of herbs. The duck flavour was hardly perceivable which is good news for people who don't like duck's natural gaminess. My usual plate of mixed braised duck innards like gizzard, heart and liver which all have their own interesting textures. Overall, the innards are cooked quite firm. 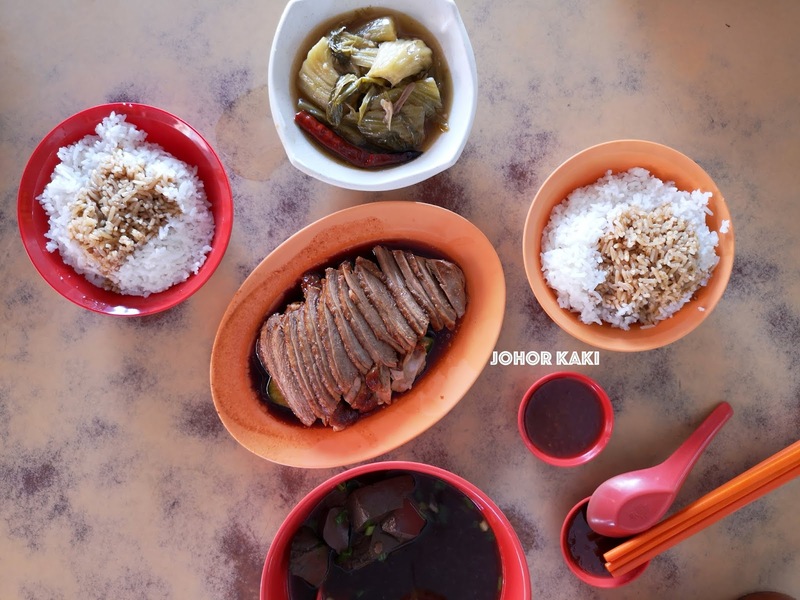 ->> Sin Hai Cheng's braised duck is an established local favourite of JB folks. If you like braised duck which is not herbal and not gamey, Sin Hai Cheng will appeal to you. 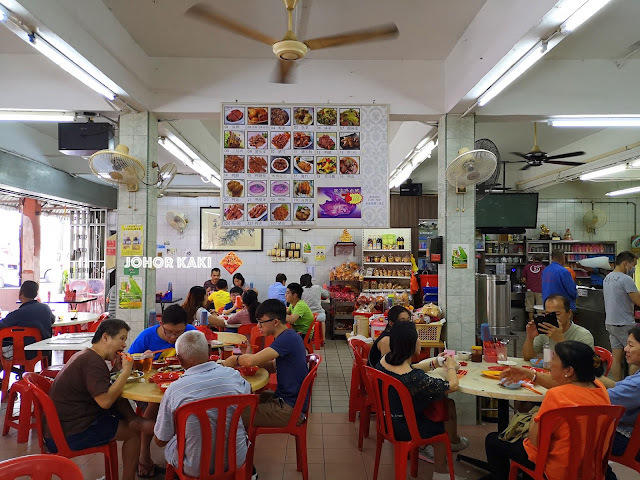 Today, I went to try out Sin Hai Cheng 新海珍, another of the famous four big braised duck shops in JB’s “duck central” in Taman Sri Skudai. Sin Hai Cheng has built up its own following of fans. Even at 3:00pm when I was there, the restaurant was still doing a brisk business with a steady stream of customers. 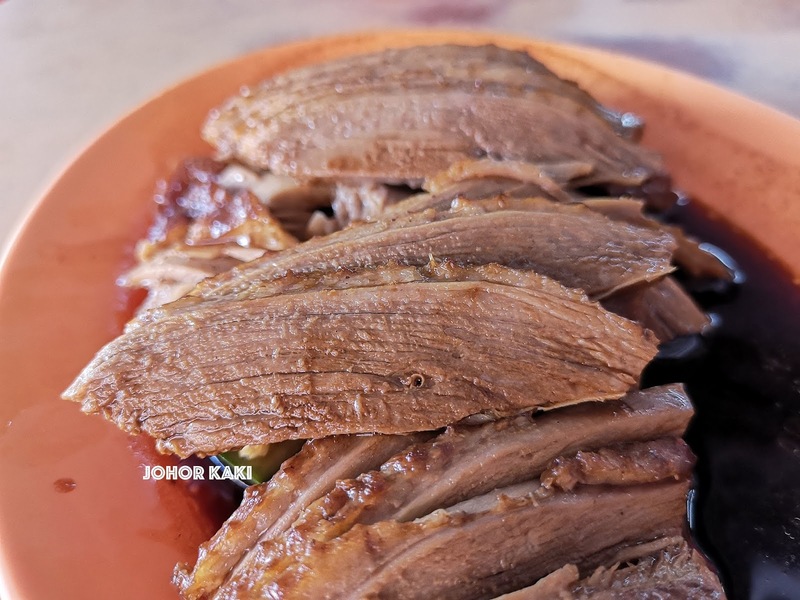 The taste of braised duck has a lot to do with the skill in cutting the meat. This gentleman may be young but he has already mastered the art of cutting the duck so that its best flavours are presented. 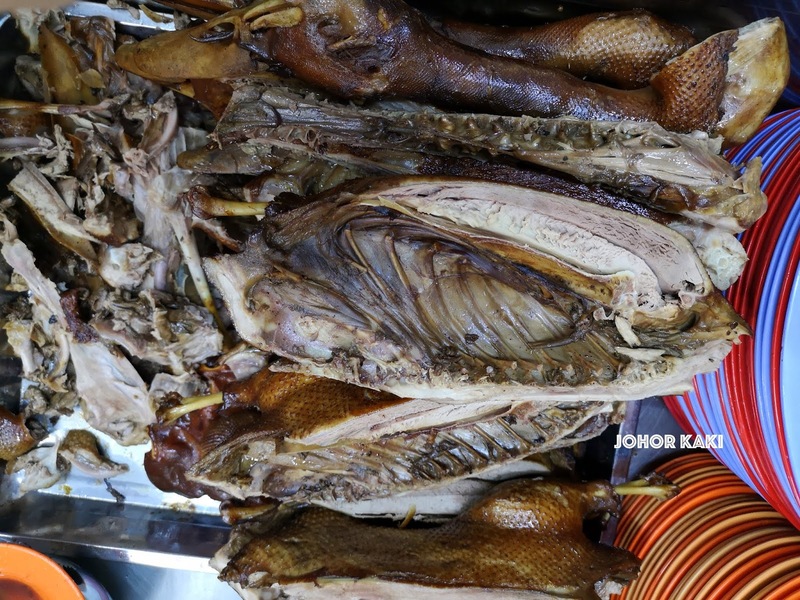 The nicely sliced duck meat was tender and tasted smoky and naturally sweet. Even after dipping in the light braising sauce it was not too salty. The thin gizzard slices were slightly firm yet still tender. It tasted slightly salty and naturally sweet. 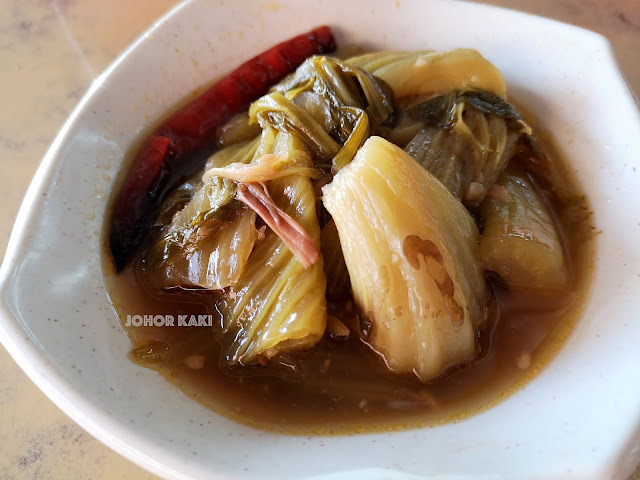 The kway teow doused with braising sauce was generously topped with fresh spring unions and fried shallots. When stirring the kway teow, waffs of shallot oil fragrance raised to the nose – hmm… nice. My meal of duck and gizzard with a kway teow and soup came to RM7. 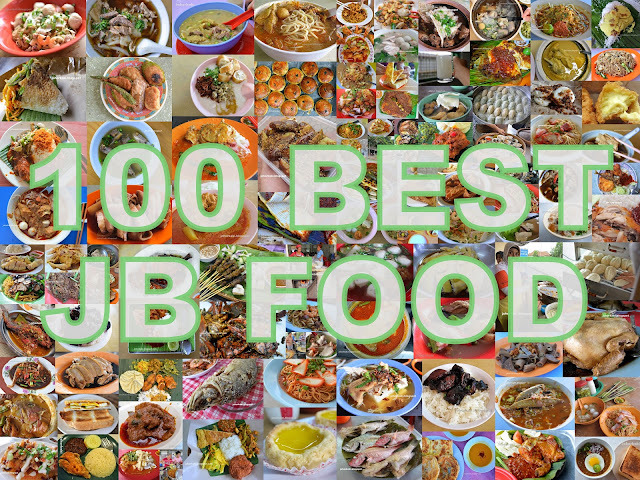 Definitely an excellent meal at a reasonable price.